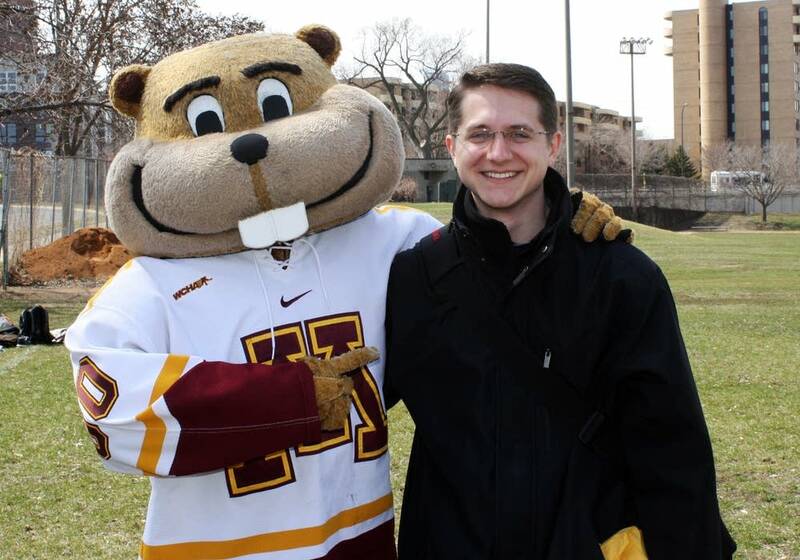 A University of Minnesota student leader wants Gopher Athletics to end its new policy of forcing students to buy football season passes to get season tickets to other sports. Student senator Kyle Kroll has drafted a resolution passed today by the Student Senate that asks the administration to quit bundling the tickets. Kroll, a second-year law student and Gopher hockey fan said forced bundling unfairly requires students to buy more than they want, and some students can't afford it. "Students should have the freedom to choose what they want," Kroll said. Senior Associate Athletic Director Chris Werle said his department started the practice this summer "as a way to reward the best fans." In the past, U of M has allowed students to buy season tickets each summer just for the sports they wanted. But this summer, Werle said, students who bought a season ticket package of multiple sports received not just a discount but also first crack at men's hockey and basketball tickets. Hockey season tickets ended up selling out through such package sales. Had they not, students would have been able to buy the remaining season tickets unbundled from football. Kroll was one of the students who waited. He said he refused to pay $175 for a bundle of hockey and football. The price was too steep, he said, considering that hockey season tickets cost $99 last year. After the hockey packages sold out in the summer, he was left without tickets. "It's just disappointing," said Kroll, a 23-year-old from Pillager, Minn. "It was really fun to go to them [regularly] with my brother the last two years...and I'll miss being part of the [hockey] community." Kroll said he knows some students couldn't afford the extra $75 or so for the bundle. They shouldn't be financially excluded from a campus event, he said. For law classmate Joe Mahoney, it's more a matter of time than money. The 23-year-old from Chicago said Friday night hockey matches have been his one weekend game to attend. He has no time for any other sport, he said, so wouldn't be able to use any of the football tickets in the bundle. Although he ended up buying a package, he said, "I was angry and disappointed." University President Eric Kaler said Thursday he'll ask the athletic department to take another look at the practice. "We do have activities that we sell tickets to for the purpose of making money," he said. "And when we sell tickets to the general public, they're bundled in that same way. And I'll ask them to look at whether we should look at something different for the student tickets." Students can still buy a $15 single-game standing room ticket at the ticket window. Mahoney said a season of doing that is more expensive than a season pass — about $35 more for a nine-game season compared to last year's season price of $99 for the same number of games. He also said season-ticket holders receive access to special events. Werle said the university's ticket pricing remains "reasonable" when compared with pricing around the conference. Neither Werle nor a Big Ten spokesman knew how many other conference schools practiced bundling the way Minnesota does. Werle said only, "I know that there are other schools in other markets that do sell packages similar to this." The bundling move comes amid a slump in football student ticket sales. In 2005 the U sold just over 10,000 tickets, but by 2008 that number had dropped by more than a third. In 2009, the year TCF Bank Stadium opened on campus, they jumped to 10,200 — but began dropping again, hitting a low of 3,850 in 2012 before rising to just under 5,000 last year. Werle said the new practice was not designed to prop up those sales. "If we do sell more football season tickets because this gives people more incentive to buy both," he said, "I'm really OK with that." Werle said putting a price on anything means excluding some people who can't afford it, but added that Kroll's objection is "the only formal complaint we've had around this." The student Law Council endorsed Kroll's resolution earlier this week, and the Minnesota Student Association is discussing a similar resolution later this month. In addition to asking the department to drop its new bundling practices, the resolution wants refunds for those who bought unwanted football tickets. It also asks the university's Board of Regents to review the matter.